For many, the names Bethlehem, Babylon, and Jerusalem are known as the setting for epic stories from the Bible featuring rustic mangers, soaring towers, and wooden crosses. What often gets missed is that these cities are far more than just the setting for the Bible and its characters they were instrumental to the creation of the Bible as we know it today. Robert Cargill, Assistant Professor of Classics and Religious Studies at the University of Iowa, is an archeologist, Bible scholar, and host of numerous television documentaries, such as the History Channel series Bible Secrets Revealed. Taking us behind-the-scenes of the Bible, Cargill blends archaeology, biblical history, and personal journey as he explores these cities and their role in the creation of the Bible. He reveals surprising facts such as what the Bible says about the birth of Jesus and how Mary s Virgin Birth caused problems for the early church. We ll also see how the God of the Old Testament was influenced by other deities, that there were numerous non-biblical books written about Moses, Jacob, and Jesus in antiquity, and how far more books were left out of the Bible than were let in during the messy, political canonization process. 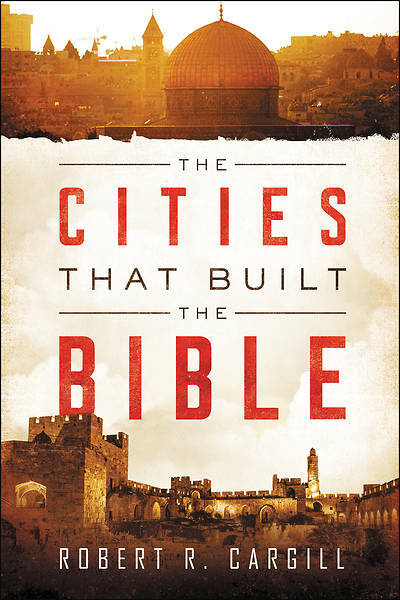 The Cities That Built the Bible is a magnificent tour through fourteen cities: the Phoenicia cities of Tyre, Sidon, and Byblos, Ugarit, Nineveh, Babylon, Megiddo, Athens, Alexandria, Jerusalem, Qumran, Bethlehem, Nazareth, and Rome. Along the way, Cargill includes photos of artifacts, dig sites, ruins, and relics, taking readers on a far-reaching journey from the Grotto of the Nativity to the battlegrounds of Megiddo, from the towering Acropolis of Athens to the caves in Qumran where the Dead Sea Scrolls were discovered. An exciting adventure through time, The Cities That Built the Bible is a fresh, fascinating exploration that sheds new light on the Bible."